Children’s Book Week starts today, May 10th. This annual celebration of children’s books, reading, and storytelling has been honored nationwide since 1919. In 1913, Franklin K. Matthiews, the librarian of the Boy Scouts of America, began touring the country to promote higher standards in children’s books. It was Matthiews who suggested Children’s Book Week, which would be supported by publishers, booksellers, and librarians. With the help of powerful allies, in 1916 the American Booksellers Association and the American Library Association worked with the Boy Scouts in sponsoring a Good Book Week. 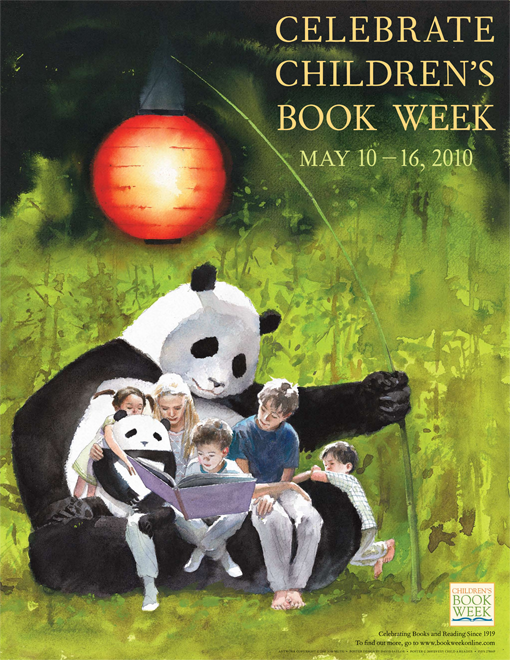 The Children’s Book Council was formed in 1944 and assumed responsbility for Children’s Book Week, which was moved from November to May in 2008. That year, they also created the Children’s Choice Book Awards. The third annual Children’s Choice Book Awards will be held Tuesday, May 11, at Guastavino’s in New York City. To learn more about Children’s Book Week and to view some of the events taking place locally and nationwide, please visit the Children’s Book Week website. How do you, your school or library plan to celebrate Children’s Book Week?